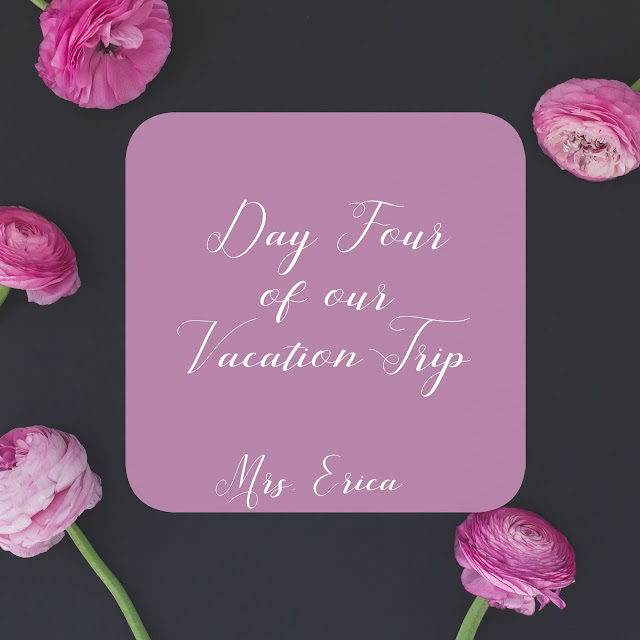 I thought it would be fun to share some of the pictures from Day Four of our vacation we recently returned from. 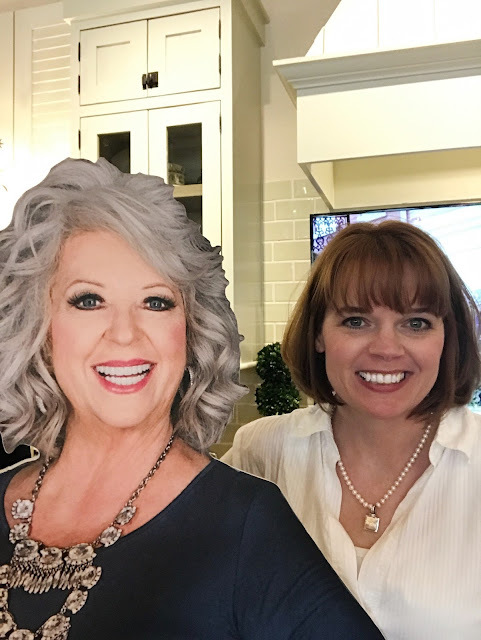 Today was fun because we had lunch at the Paula Deen Resturant in Tennennesse. 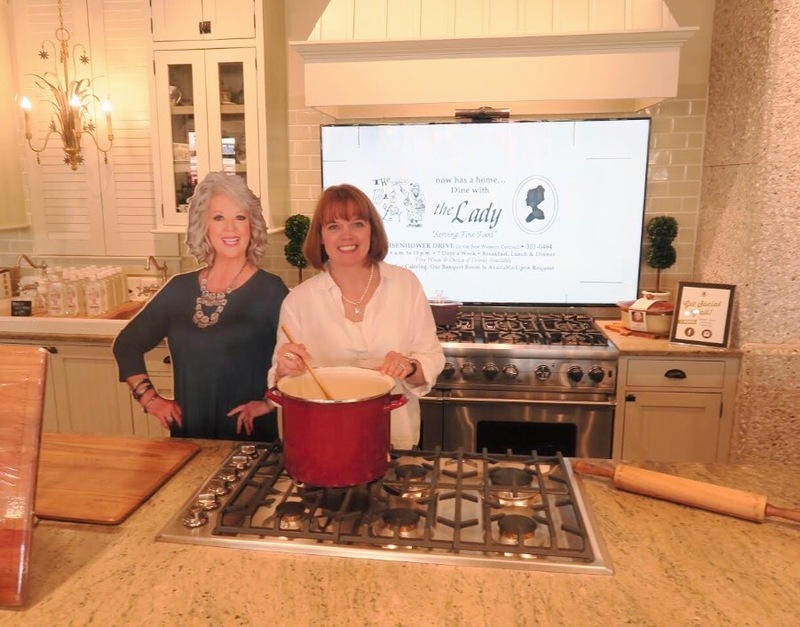 I had so much fun being silly in the kitchen with the "Cardboard Paula" and the boys let me be as silly as I wanted! You should have seen me as I moved Paula where ever I wanted her for the pictures. There were two ladies having so much fun watching me play around! Then it was time for lunch and it was very good! This is the Shore is Good Seafood Dip which is very yummy. I have actually made this recipe at home before from her cookbook. I love seafood dips of all kinds. The menu is a family style menu and you pick three main dishes and four side items so everyone can share. It was all very good and we can't wait to go again. They also bring you more of anything you want from the selection you pick. I think we all agreed the fried catfish was our favorite. I can honestly say it was the best fried fish I have every had. The batter was so light and fresh tasting. I really enjoyed my cup of coffee with my dessert in my green Paula mug. You can even have all the dessert and types you want. We were very good and only went with one severing and did not finish it because we were so full. I absolutely loved the decor and style of the restaurant. You know I am a huge fan of the blue and white decor and she had it all through the restaurant. This was such a fun day because Trey ran into a friend that he met on a cruise we took almost four years ago. 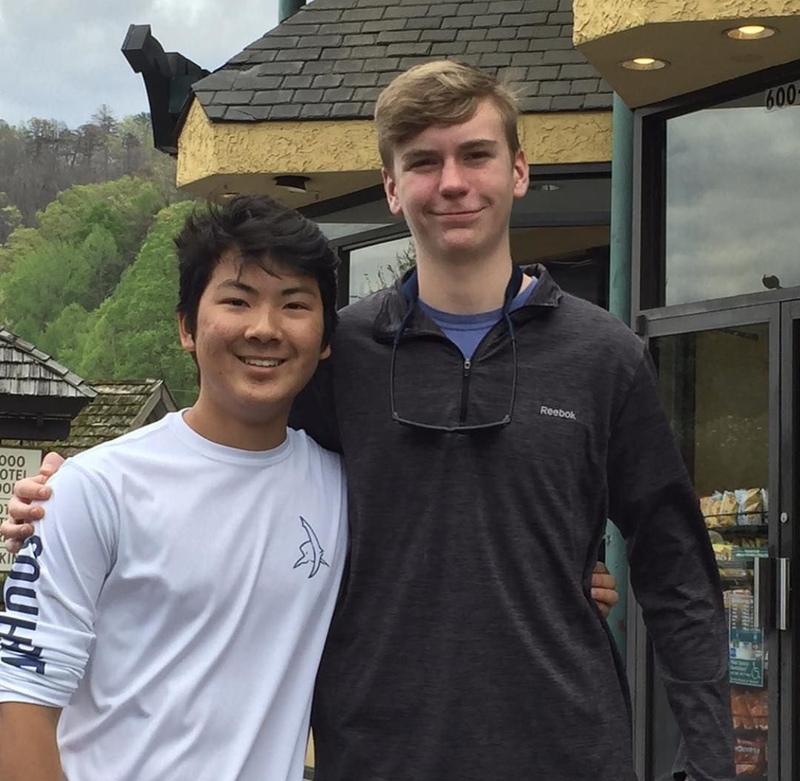 They have stayed in touch through social media and we could not believe that Trey saw him walking down the road. They were so excited to see each other after all this time. After a day of shopping and great food it was time to rest on the porch and enjoy the view of the mountains. I could sit and enjoy this view for the rest of my life and be as happy as can be! I put together an awesome video of our day and be sure to take a look so you can feel like you are part of the trip! We had such a great time. Also be sure to subscribe so you never miss out on the fun!